FLASH!!! Windows 10 a Hit, but Free Upgrade Offer Expires on July 29! Microsoft’s unprecedented offer for a free upgrade to Windows 10 will expire on July 29, 2016, exactly one year after the release of the new operating system to the public. If you or your company are still on the fence about whether to upgrade or stick it out with your current system (Windows 7, 8, or 8.1), the time to make a decision is now. After the offer expires, the Windows 10 upgrade will be available for $119. Windows Professional for business will also be available for $199. The business version offers additional features, notably advanced encryption and remote access ability. The Windows 10 operating system will continue to remain the standard on any Windows device. As they near the first anniversary of the release, Microsoft reported that more than 300 million PCs are now running Windows 10. This staggeringly rapid adoption rate easily surpasses any previous Windows version and far outnumbers all Apple OS X versions. With its free upgrade offer, Microsoft has been aggressively pushing the adoption of Windows 10 as they start to phase out their support of the popular Windows 7. It appears that Microsoft is responding to the cool reception Windows 8 and 8.1 received as they migrate to a more familiar user interface with Windows 10. Their offer of a free upgrade also seems part of a positive campaign to win back the trust of some users dissatisfied with the last Windows version. The philosophy behind the development and release of Windows 10 is a movement toward a comprehensive operating system that won’t have to be fundamentally changed or replaced. 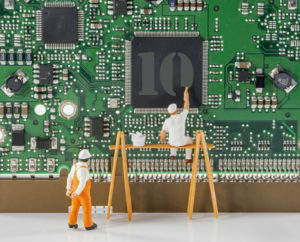 In contrast to the old development model of patches and then replacement, Windows 10 will be periodically updated with new features and applications as they are developed, ensuring that the system is always state-of-the art. Some Microsoft executives are using the acronym, WaaS, or “Windows as a Service” to describe their vision of Windows 10 as the beginning of a new, ever-adaptable and cloud-centric operating system. For example, Microsoft has scheduled an “Anniversary Update,” sometime this summer that will offer a wide range of new features and improvements to the current Windows 10. In short, the pros definitely outweigh the cons when comparing Windows 10 with earlier Windows versions. We do, however, strongly recommend that you consult an IT Support expert, such as Network Depot, before upgrading your company’s devices to make sure the transition occurs efficiently and effectively. 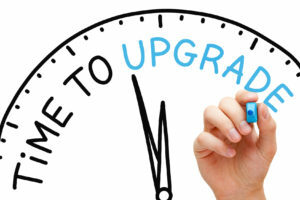 It is also important that your company thoroughly back up your system before beginning the upgrade process. Microsoft has also provided an additional benefit, which will make any uncertain upgraders rest more easily: If you’re not happy or comfortable with using Windows 10 after your upgrade, you will have up to 30 days to revert back to your previous operating system. For assistance with any potential transition to the Windows 10 operating system and any other IT-related issues, please contact us here at Network Depot.